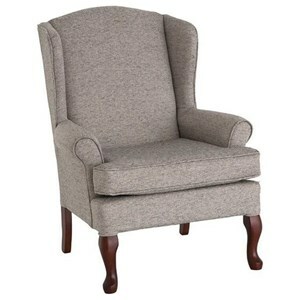 Add a beautiful accent to your home with the Sylvia wing back chair. 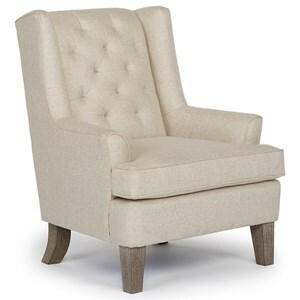 This traditional Queen Anne chair features a tight upholstered back, t-cushion seat, upholstered wings and flared rolled arms. High cabriole legs add a beautiful finishing touch. Wood finish is available in Dark Cherry or Dark Oak finish. 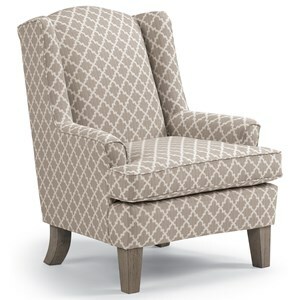 The Wing Chairs Sylvia Wing Back Chair by Best Home Furnishings at Hudson's Furniture in the Tampa, St Petersburg, Orlando, Ormond Beach & Sarasota Florida area. Product availability may vary. Contact us for the most current availability on this product. 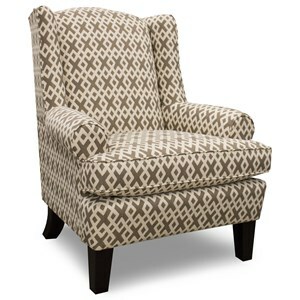 The Wing Chairs collection is a great option if you are looking for Traditional furniture in the Tampa, St Petersburg, Orlando, Ormond Beach & Sarasota Florida area. 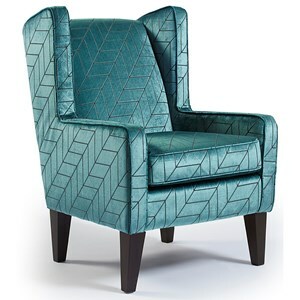 Browse other items in the Wing Chairs collection from Hudson's Furniture in the Tampa, St Petersburg, Orlando, Ormond Beach & Sarasota Florida area.